By Hrayr Kegham Dantziguian, Building Automation Training Center. Lebanon, the Country of Cedars, is only 10,452 square kilometres, but has numerous universities, and therefore many consulting offices for construction projects in Lebanon and in the Arab World, plus one accredited KNX+ training centre. 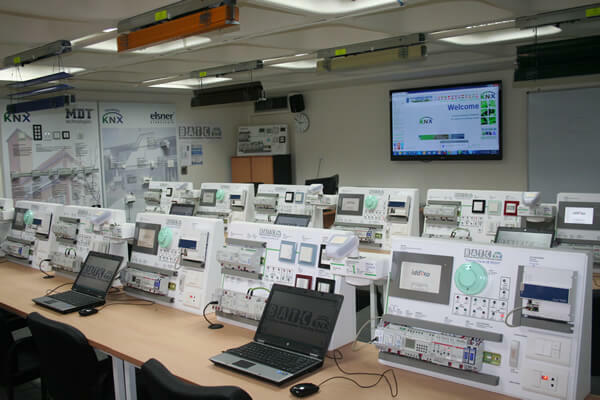 Caption – The KNX training centre in Lebanon. KNX was introduced in Lebanon nearly two decades ago, but then the social and economic situation did not allow for much expansion. Nowadays however, numerous residential and commercial buildings are being fitted with KNX technology, particularly since KNX helps to make buildings greener, more energy efficient and economical to use. This is why the trend towards implementing KNX-based buildings is growing in Lebanon and in the Arab World, and why it will continue to grow for the foreseeable future. 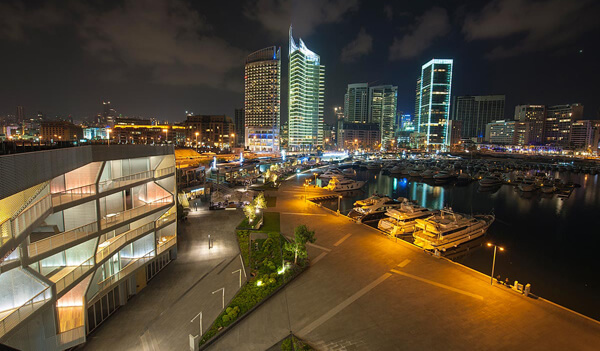 An example of a KNX installation is Le Yacht Club Beirut (BWD), a complex of hotel and individual apartments with KNX control of lighting (DALI and switches), shutters and HVAC. This project was initially executed as non-KNX and failed due to the load of systems and complications. The systems integrator, IControl SAL, was called in to save the day. It uninstalled the existing system and replaced it with KNX. Now the project has been completed and comprises over 900 KNX devices that took three months to install and commission. Caption – Le Yacht Club Beirut, a KNX installation of over 900 KNX devices for controlling lighting, shutters and HVAC. As there are no KNX Members (i.e. manufacturers) in Lebanon, a KNX National Group could not be formed, but following a request by the KNX Association to form a KNX userclub in Lebanon, I brought together the founding members. Under the auspices of the KNX Association, a request has been made by five KNX Partners in Lebanon to the national authorities, for creating an association bearing the name ‘KNX Userclub Lebanon’ of which I am currently the Chair. Members of KNX Userclub Lebanon (from left to right) Hrayr Dantziguian of Building Automation Training Center, Jad Baaklini of Unilux systems SAL, Joseph Absi of Lightbox International SAL, Antoine Sawaya of Cesar Debbas & Fils SAL, and Elie Harb of IControl SAL. While in absentia, Youssef Azoury of Ets. F.A. Kettaneh SAL, Hagop Dantziguian of Dantziguian Hrayr Automation Systems SARL, Mona Hajj of Light and Build SAL and Chehade El-Khoury of Khater Engineering & Trading SARL. The aim of KNX Userclub Lebanon is, on the one hand, to perform the functions that a national group would normally do, including, among other things, marketing KNX technology in Lebanon. On the other hand, our role is, of course, to fulfil the aims of a KNX Userclub, which includes providing a space for KNX users in Lebanon to meet and exchange experiences and ideas. Caption – Some of Lebanon’s latest KNX trainees. Although KNX Userclub Lebanon is still under registration, the Order of Engineers and Architects of Beirut, which involves over 45,000 engineers and architects, has requested KNX Userclub Lebanon to provide a two-hour seminar on May 6th, 2015, with displays of KNX devices and systems. We are confident that this will lead engineers and architects in Lebanon to further implement KNX in their projects. A further step will be participating as KNX Userclub Lebanon at the forthcoming Project Lebanon building construction exhibition, which will almost certainly make our number grow. Indeed KNX Partners who wish to join us, may contact us at knx-userclub-lebanon@sodetel.net.lb. 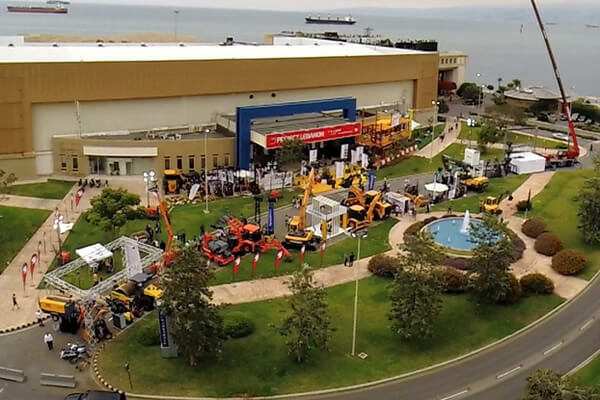 Caption – The Project Lebanon building construction exhibition will take place at the Beirut International Exhibition & Leisure Center in June. Anyone who wishes to get a basic knowledge in KNX, and KNX Partners who wish to get an advanced knowledge in KNX, could do the KNX Basic Course and the KNX+ Advanced Course at the Building Automation Training Center here in Lebanon. 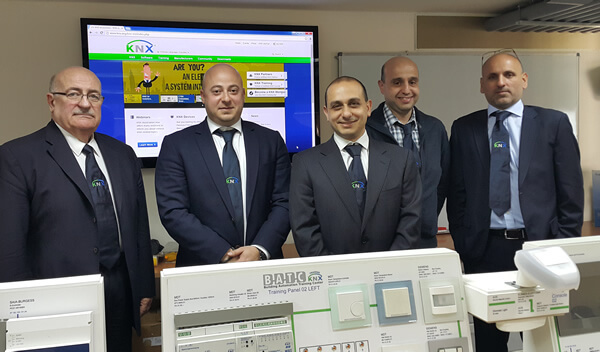 This is the first KNX training centre in Lebanon, it has been fully-accredited by the KNX Association, and is open to interested parties from within the country and the Arab World. Hrayr Kegham Dantziguian is a KNX-certified tutor providing the KNX Basic and KNX Advanced courses at Building Automation Training Center.